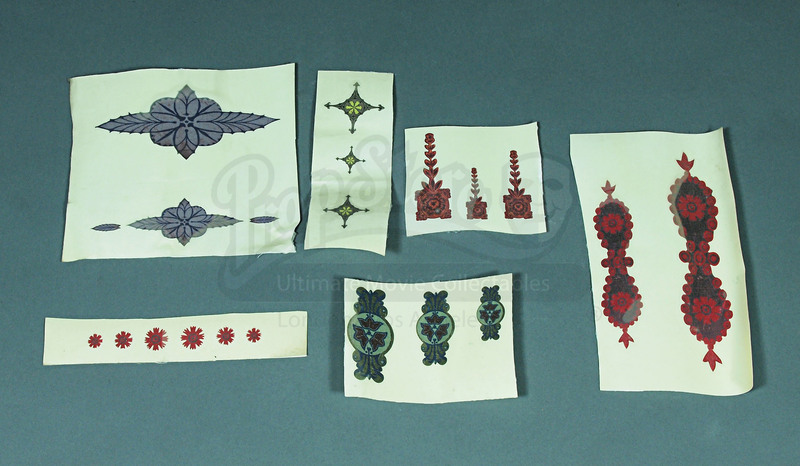 A set of production-made stickers used as dressing on the weapons and props of the roving Gyptians, created for the production of the fantasy film The Golden Compass. 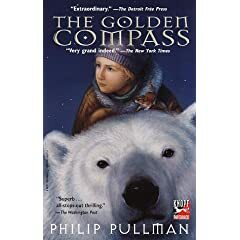 Based on the novel by Philip Pullman, the film tells the story of a fantastical world where a person’s soul is tied to transforming animal companions known as daemons. 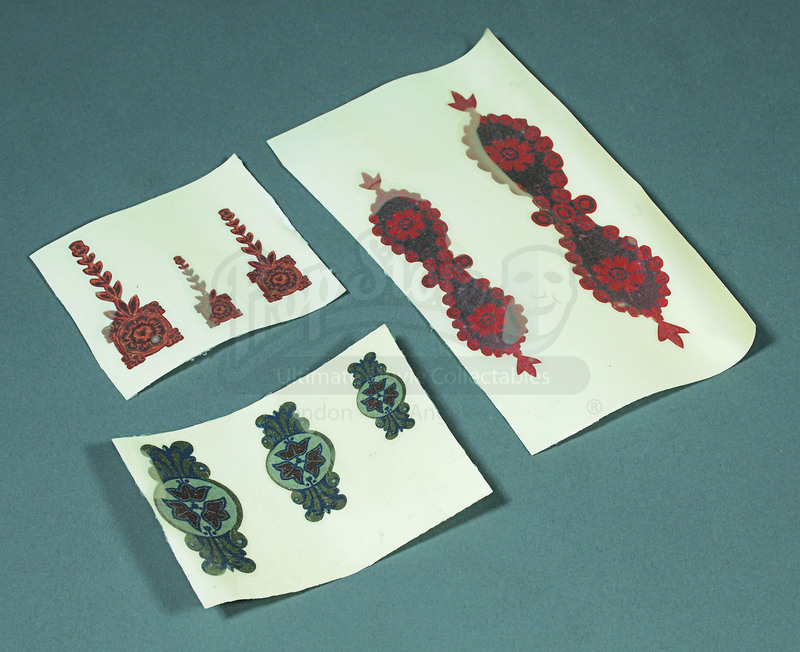 The set designers and art department used adhesive detailing such as these to bring colour to the Gyptians’ possessions, from weapons to general items in their camps. 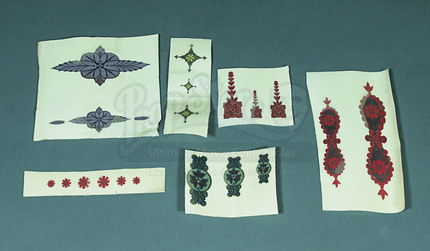 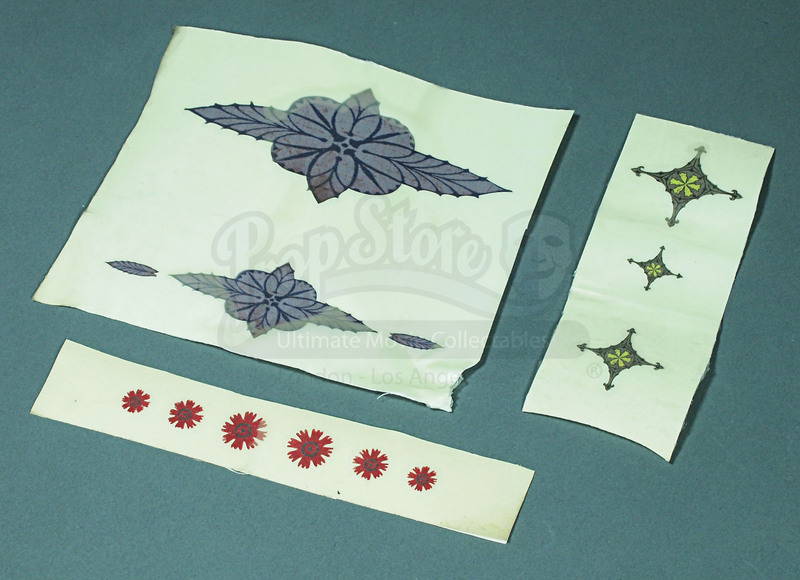 This set includes a wide range of designs covered in floral decorations, taken from a set of stickers made for the production but ultimately unused. 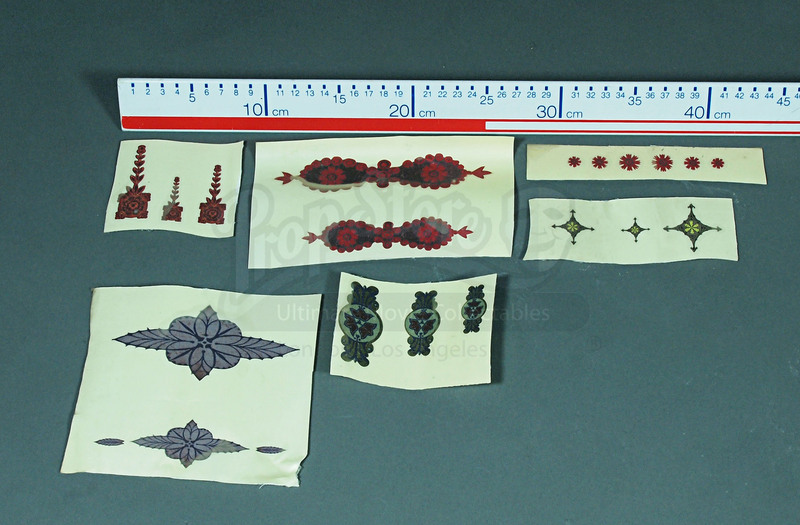 In a good production-used condition, the largest sticker measures 15cm (6”) long.